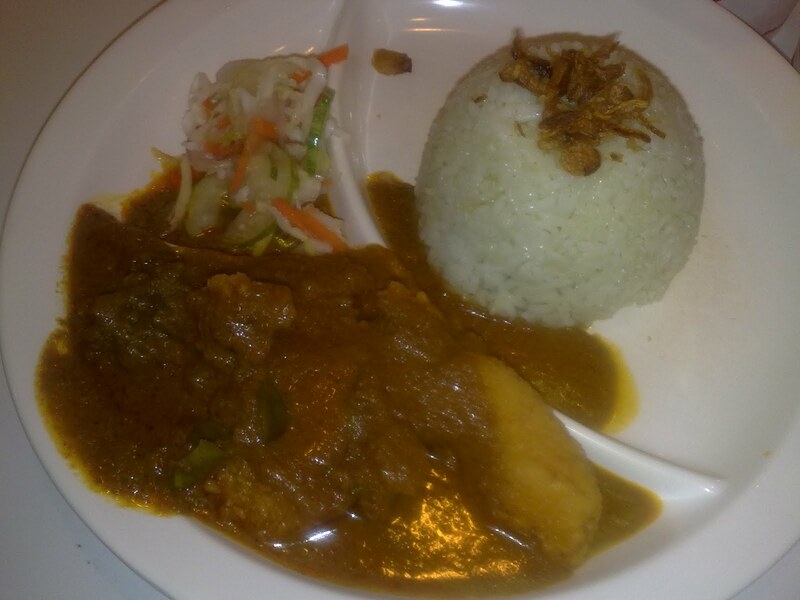 The core taste of this meal is the rendang itself. Unlike fastfood version of nasi ayam that doesnt taste like one, this rendang is taste like rendang. Suitable for those who 'missed' Hari Raya Aidilfitri's rendang. Marrybrown's Nasi Rendang Ayam is served with vanilla ice cream and non-carbonated rose syrup. Compare the above picture, which I had dined at Ivory Plaza outlet, with the Bukit Jambul outlet's version below. It seems that Kompleks Bukit Jambul is more generous with more rendang toppings than the Ivory Plaza ones.